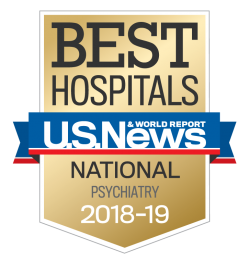 Sheppard Pratt’s Behavioral Health Home is not a physical place, but a model of compassionate, personalized care for people with physical and mental illness. Our whole-person approach to healthcare addresses physical health and offers behavioral health services. Together, we can help you thrive. What Are Behavioral Health Home Services at Sheppard Pratt? Behavioral Health Home offers expansive services, providing enhanced care and support to people living with both physical and mental illnesses. We offer extra assistance in the recovery process, addressing social, physical, and behavioral health needs. Our services include lifestyle management, physical health care, and family support. Our expert staff members collaborate to coordinate whole-person care. These services include primary and behavioral health and social services. Our Health Home team identifies each patient’s needs and creates a personalized, evidence-based therapy plan to implement across the entire Health Home service. Evidence shows that physical and mental health are closely related. Too often, people with persistent and severe mental illnesses are unable to access much-needed physical health care. We connect you or your loved one to outside providers that help manage chronic illnesses and other physical health conditions. We ease patients into long-term care services and support their follow-up mental health care. This process reduces hospital admissions and emergency department visits, creating a proactive treatment environment. When people can manage their care effectively, they can live safely in their community. We provide an extra layer of support to assist and empower individuals, families, and caregivers in improving health and ability to function in the community. These services include health counseling, medical care coordination, targeted interventions, and access to healthcare specialists. We also manage referrals to community-based services and other social supports as needed. Why Choose Behavioral Health Home Services at Sheppard Pratt? Sheppard Pratt has a history of providing groundbreaking, compassionate care since 1853. As the largest provider of health home services in Maryland, we have experience treating patients with all types of behavioral health concerns. We’ve received accreditation from the Commission on Accreditation of Rehabilitation Facilities (CARF), recognizing our commitment to excellence and improving patient care. Sheppard Pratt is the largest mental health provider in the state. We connect patients to our extensive network of treatment and support services to address all of their health needs. Services include individual and group therapy, addiction services, and employment and housing support. There is no one-size-fits-all approach to mental health treatment. Our team of health home counselors, nurse care managers, and medical staff coordinates your overall health needs to provide customized care. We monitor your health status and help you maintain your treatment regimen, make lifestyle changes, and manage your physical health. This approach ensures that we can give you or your loved one what you need to thrive mentally, physically, and socially. Health Home offers enhanced behavioral health services to adults who are already receiving treatment through other Sheppard Pratt programs. You might be eligible if you are receiving treatment through the Adult Psychiatric Rehabilitation Program (PRP) or Assertive Community Treatment (ACT) team. All Health Home participants must be eligible for Medicaid at the time of enrollment. Medicaid covers the cost of these services at no added cost to people already enrolled in PRP or ACT.